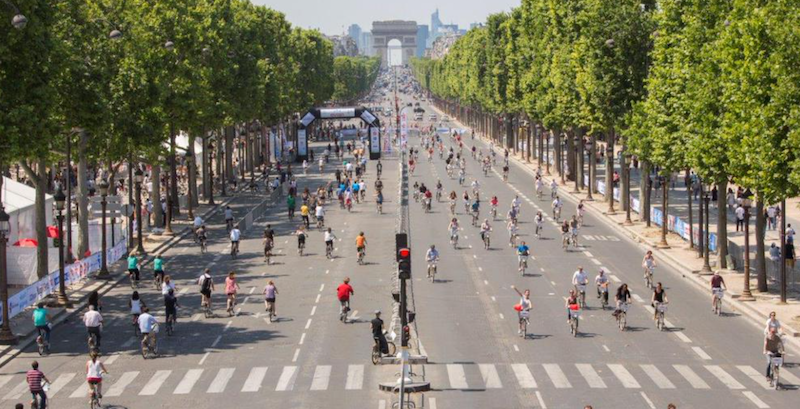 In September, authorities banned cars from the streets of Paris in preparation for the 2015 Climate Change conference. Governments are behind the climate change propaganda because they want to introduce a per mile driven tax. A core group of academics is on board because the government pays them to put out studies to justify the need for more taxes. It would be nice to see these people giving up their cars and trying to ride their bikes in 1 meter of snow. But they believe in government as if those people ever tell the truth. How the planet works or the cyclical nature of weather caused by the sun is a vast area that remains undisclosed because it does not justify more taxes. Buy a car and they want the odometer reading because behind the curtain everyone is preparing to tax you on each mile you drive, even if you have a fully electric car. In other words, they have discovered a natural counter-balance within our ecosystem that cools the planet. The predictions that stated that the ice caps should have been gone by now were dead wrong. Then there are people claiming the rising water in the Pacific Ocean will cause islands to sink. Yet many parts of land today were once below the oceans. Limestone is found mostly in regions that were formally below the sea, and marble is formed from limestone under a lot of pressure. Areas where marble exists today were generally once under the sea. This took place long before man invented the combustion engine. Sandy, the name of the major hurricane that struck the U.S. a few years ago, altered the ocean floor so much so that Long Beach Island, New Jersey now routinely floods. Is it sea levels rising or a change in ocean floor? Nearly 20% of the southern portion of New Jersey is known as the Pine Lands. Why? It’s all sand and use to be under water. Things change naturally; they are not all caused by human activity. But blame people and you justify government taxation. That is the thinking behind this movement. They do not profit by telling the truth. Just follow the money. If politicians lie about everything else, why should we believe them on this issue either? « Austerity vs. Hyperinflation: Which Is the Precursor to Revolution?